Cheektowaga, NY is a region that has to squeeze every last drop out of the summer, as the sun only shines here so many days out of the year. That means barbecuing, pool parties, and watching Bills games. The best way to take full advantage of summer in Cheektowaga, NY is to have a great, spacious deck in your yard that can help you take in the warm weather while it lasts, but one that can also take a beating from Western New York weather. You need a durable deck that can withstand the sun one day, the rain the next, and snow and ice in the winter. You need a vinyl deck. And who better to get a vinyl deck from, but the experts in vinyl decking: The Vinyl Outlet. Additionally, we provide custom vinyl deck installation at The Vinyl Outlet. 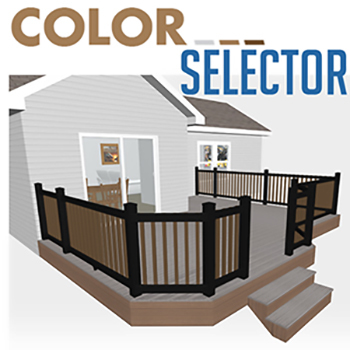 All of our vinyl decking is custom built to your specifications, allowing you to perfectly match your new deck to the style of your home. The final result is a deck that is safe, resilient, and looks amazing. Even if you do already have a deck on your Cheektowaga, NY home, if it isn't vinyl decking, you should upgrade immediately. A vinyl deck doesn't just look good, it can literally save you money, both in home value and in maintenance or repair costs. Wooden decks warp, splinter, or rot over the years. They also are a common place for insects to nest. The costs to maintain your deck, repair your deck, and to exterminate insects builds up over the years. By upgrading to a vinyl deck, you can basically reduce all of those yearly costs to nothing. A one time purchase of vinyl deck installation today, from The Vinyl Outlet in Western New York, can save you thousands in the future. And best of all, if you like the look of your current deck, we can match that look precisely.